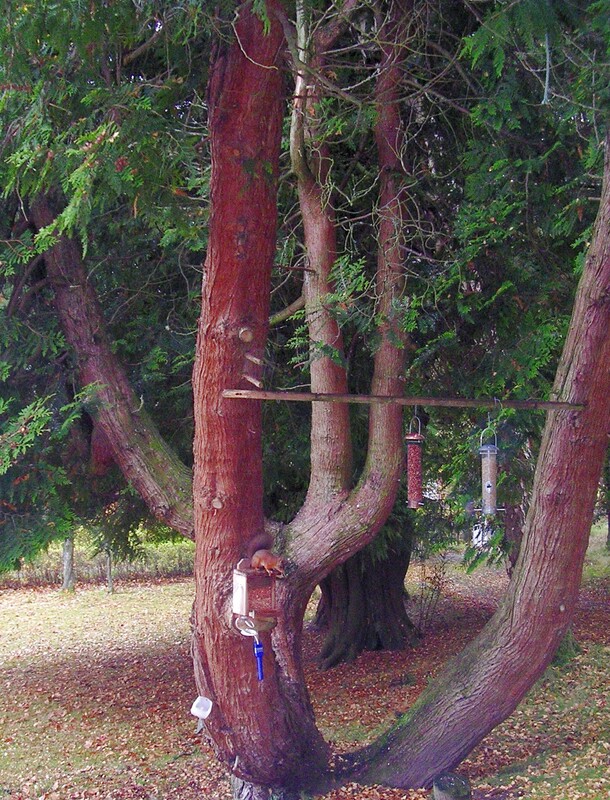 We have a Webcam pointed at our Squirrel Feeder that continuously generates live images for you to view. We also have Motion Detection software that takes a series of still pictures throughout the day and sends them to the website every night, so you can view any of the previous 7 days as a "time lapse" film sequence. There is a chart at the bottom of the page that will help you find the best time to look for Red Squirrels on the live Webcam. 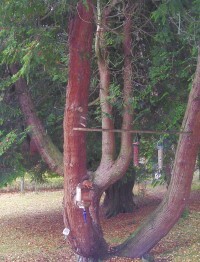 The image on the left shows the "Big Picture" of the Squirrel Feeder being monitored. 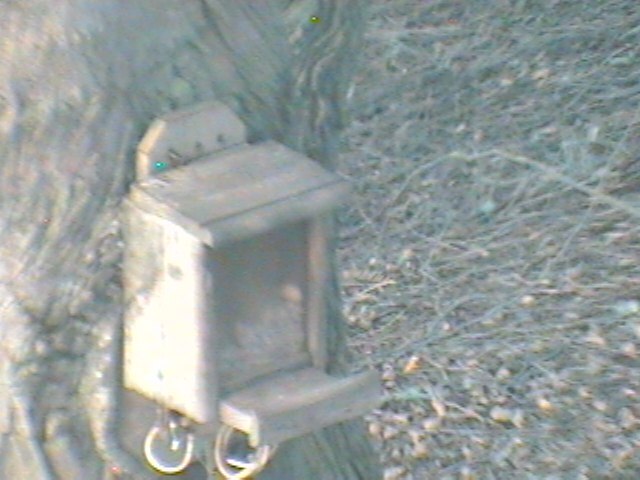 The Webcam is normally zoomed in on the Squirrel Feeder itself. The image below is a recent one from the Webcam. This format may not work on company PCs with firewalls and restricted permissions. However, this format should work on all browsers and company PCs. You can view an animated sequence of still pictures captured throughout the day by the Movement Detector on the Webcam. The previous 7 days are available to view. This should work on all browsers and company PCs.